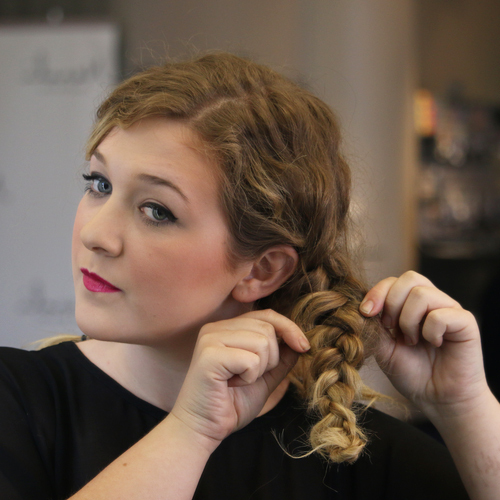 Step 1: Separate + braid three sections of hair. 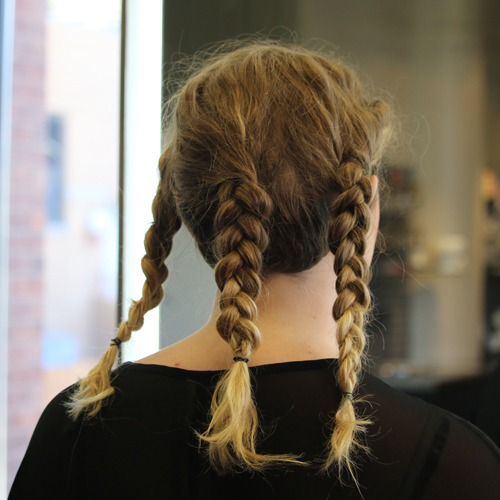 Try to keep the braids closer to the back of you head, rather than the front/sides. 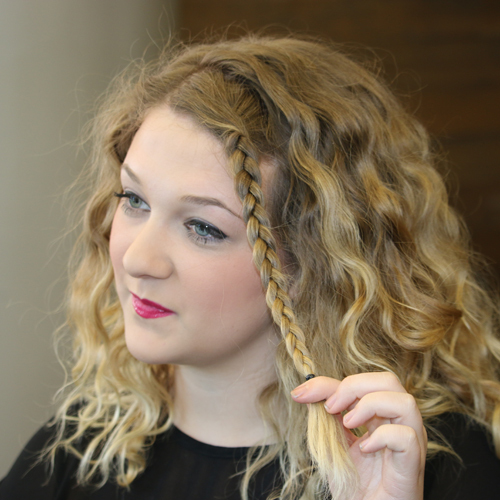 Step 2: Once the braids are secured, begin to pull the braids apart. 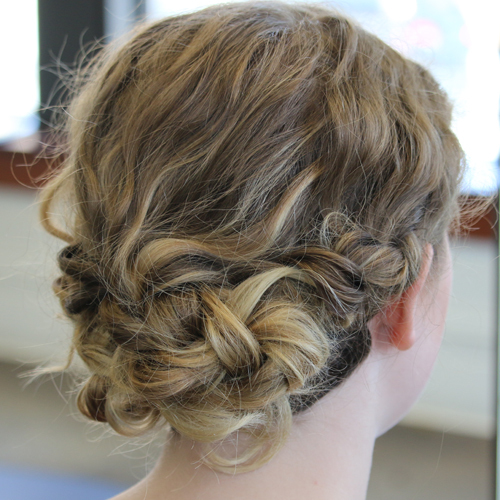 The more you pull, the more knotted it will look in the updo. The less you pull, the more braided it will look. 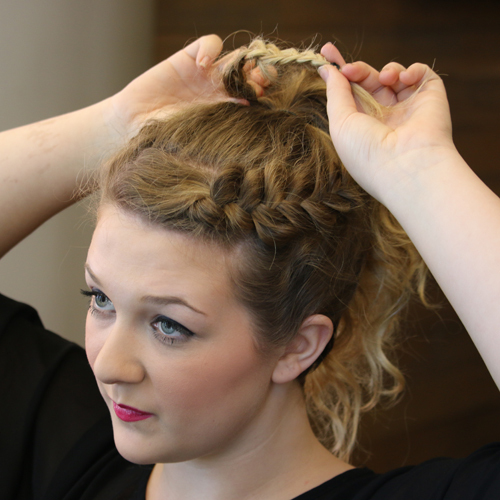 Step 3: Now that you’ve loosened up the braids, you can begin to assemble the updo. 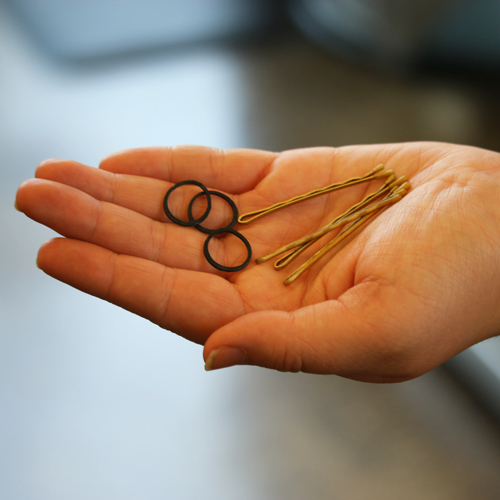 Start by taking a section closest to your ear and pull it towards to the nape of your neck and secure with bobby pins. 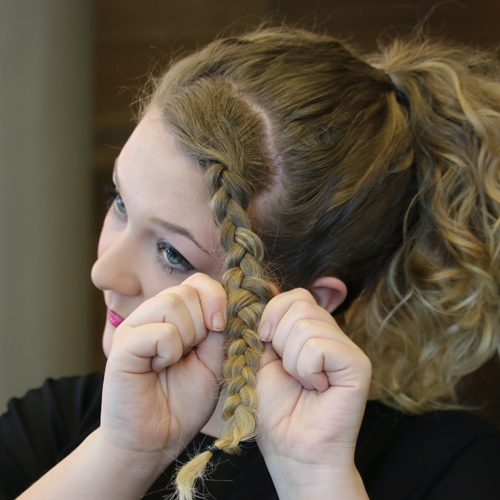 Step 4: You’ll want to look in a mirror to check for any loose hairs, or random sections that need an extra pin. Step 1: Braid a small section of hair by your forehead. 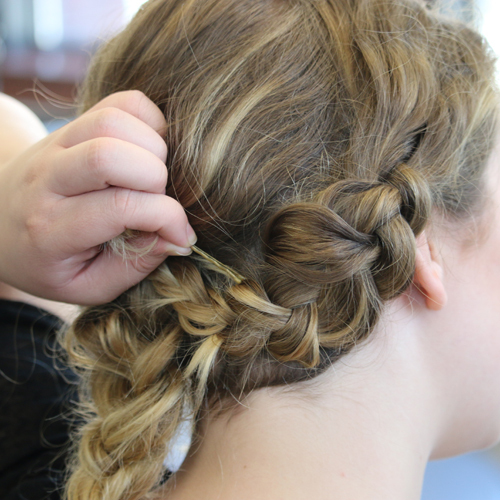 Step 2: Once the braid is secured, begin to pull it apart until it is the size/texture you want. Optional: At this point you can either keep your hair down and pin the braid back, or keep reading below for a cute extra step. 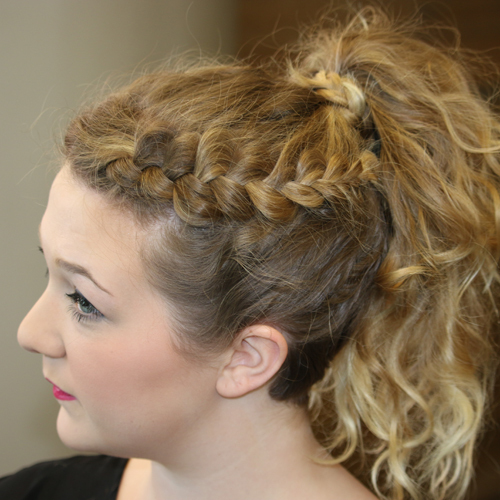 Step 3: Once your hair it secured in a pony tail, braid a small section of hair closer to the back of the pony tail. Step 4: Wrap the little braid around your hair tie to camouflage it. 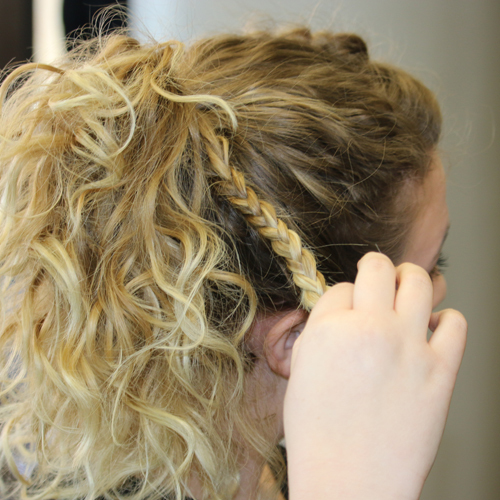 Pro Tip: This is a fun style that you can get really creative with– whether you want to do a messy bun, low pony tail, or keep it sleek and shiny. 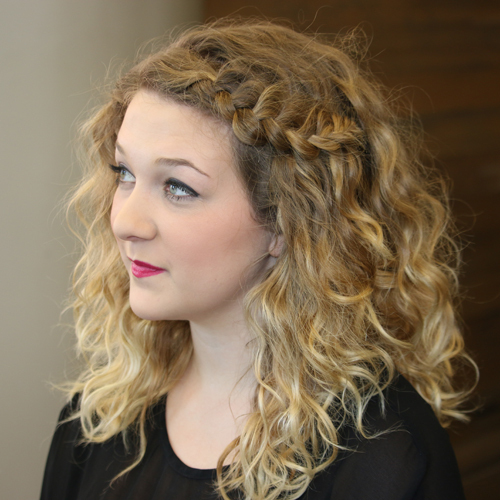 This blog was written by Neroli Downtown Hair Designer, Paige. 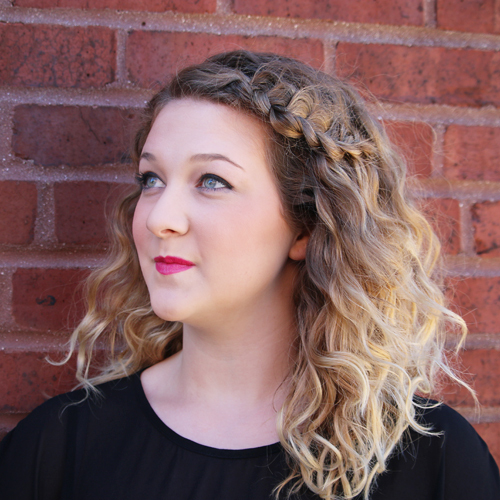 To schedule a hair service with Paige, call 414.227.2888.